Our Scaled Leaf Arm Bracers feature a three dimensional design, with leather leaves that are riveted to a base bracer. The leaves will definitely make a statement and add a fantasy or woodsy feel to your overall look. 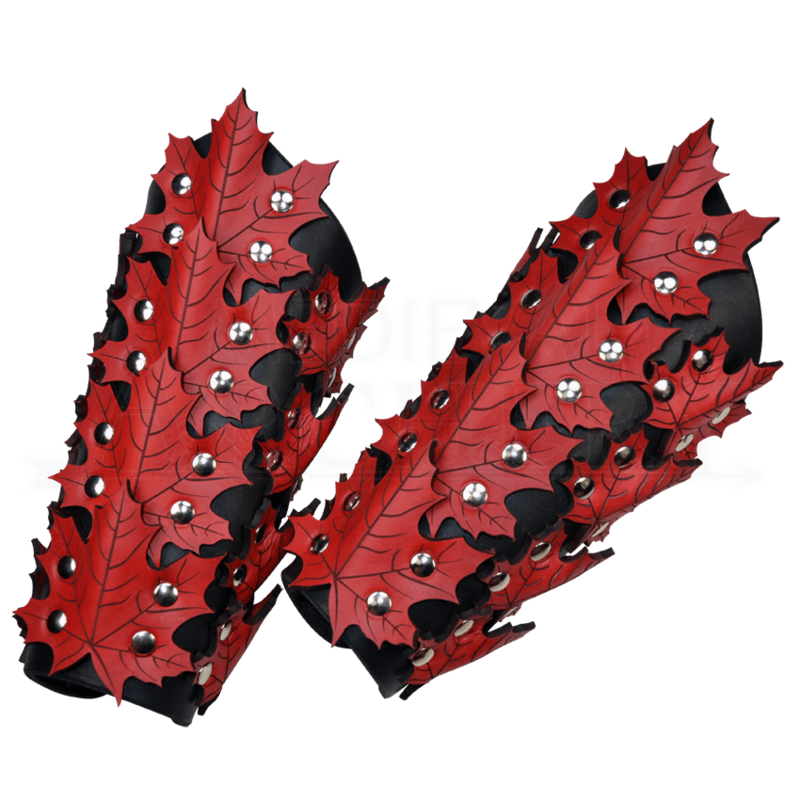 There are three rows of realistic looking maple leaves with the center row of leaves being slightly larger than the outside rows. 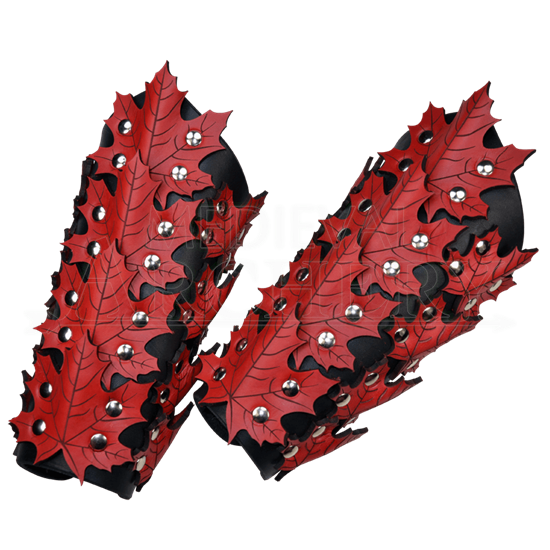 The leaves are made from a medium weight 7/8 ounce leather while the actual bracers are made from thick 13/15 ounce leather. The bracers have lace up closure and are sold as a pair. Many different color options are available to suit your needs. **Special Note: We use silver or brass colored hardware. Please see the list below to see what color options get which color hardware by default. If you do not see a particular color combination you need, please ask and we will try our best to accommodate you. When selecting colors, the first color listed is the color of the arm bracer. The second color listed is the color of the leaves.